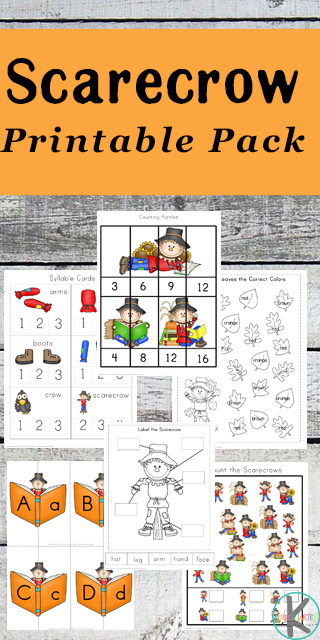 Kids will have fun practicing counting, coloring, counting syllables, counting, labeling, matching uppercase and lower case letters, and so much more with these free Scarecrow Printable Pack. Cards to Count – Cut out, laminate and use a peg or paperclip to clip or place a pom pom or candy onto the correct answer. Where is the Crow? Book – Cut out the crows and paste in the correct position in the book. 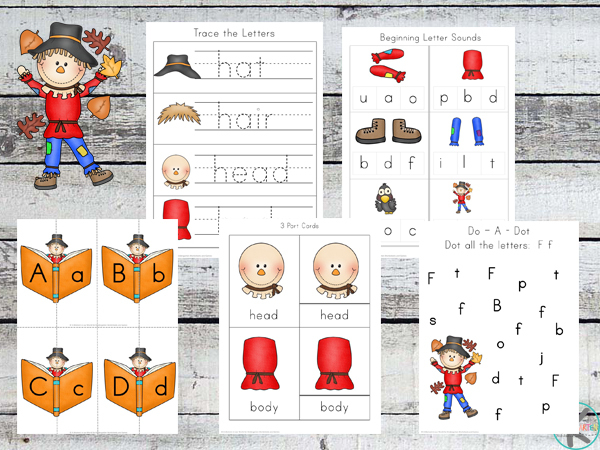 Uppercase / Lowercase Match – Match the uppercase letters of the alphabet to the lowercase ones. Color the Leaves – Color the leaves the correct color. 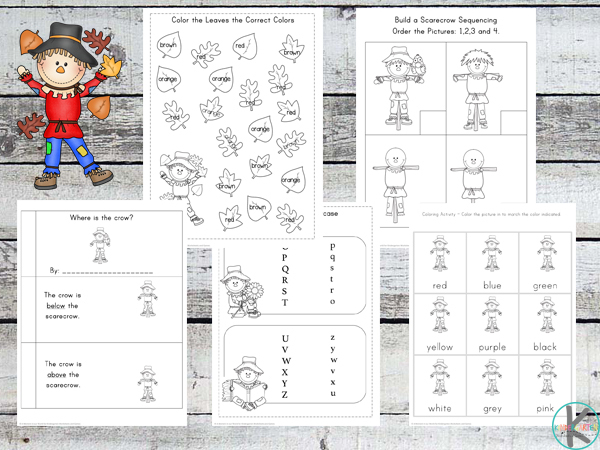 Label the Scarecrow – Cut out and paste the parts of the scarecrow in the correct place. 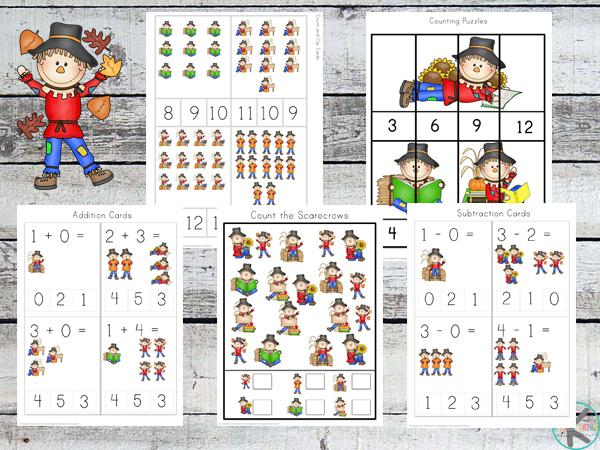 Build a Scarecrow – Write in the numbers in the correct sequence.